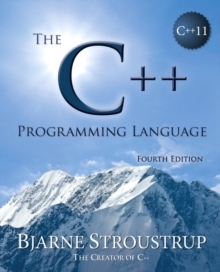 The new C++11 standard allows programmers to express ideas more clearly, simply, and directly, and to write faster, more efficient code. 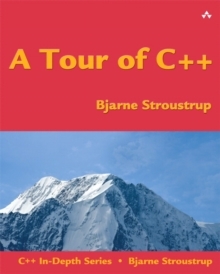 Bjarne Stroustrup, the designer and original implementer of C++, has reorganized, extended, and completely rewritten his definitive reference and tutorial for programmers who want to use C++ most effectively. The C++ Programming Language, Fourth Edition, delivers meticulous, richly explained, and integrated coverage of the entire language-its facilities, abstraction mechanisms, standard libraries, and key design techniques. 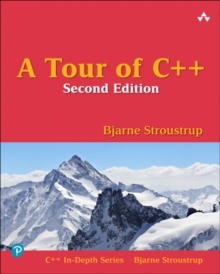 Throughout, Stroustrup presents concise, "pure C++11" examples, which have been carefully crafted to clarify both usage and program design. To promote deeper understanding, the author provides extensive cross-references, both within the book and to the ISO standard. 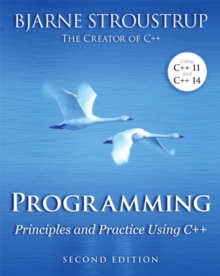 New C++11 coverage includes Support for concurrency Regular expressions, resource management pointers, random numbers, and improved containers General and uniform initialization, simplified for-statements, move semantics, and Unicode support Lambdas, general constant expressions, control over class defaults, variadic templates, template aliases, and user-defined literals Compatibility issues Topics addressed in this comprehensive book include Basic facilities: type, object, scope, storage, computation fundamentals, and more Modularity, as supported by namespaces, source files, and exception handling C++ abstraction, including classes, class hierarchies, and templates in support of a synthesis of traditional programming, object-oriented programming, and generic programming Standard Library: containers, algorithms, iterators, utilities, strings, stream I/O, locales, numerics, and more The C++ basic memory model, in depth This fourth edition makes C++11 thoroughly accessible to programmers moving from C++98 or other languages, while introducing insights and techniques that even cutting-edge C++11 programmers will find indispensable. This book features an enhanced, layflat binding, which allows the book to stay open more easily when placed on a flat surface. This special binding method-noticeable by a small space inside the spine-also increases durability.